I am so excited that you stopped by! My name is Ashley and I live in Wilmington, Delaware with my husband and daughter Delaney. 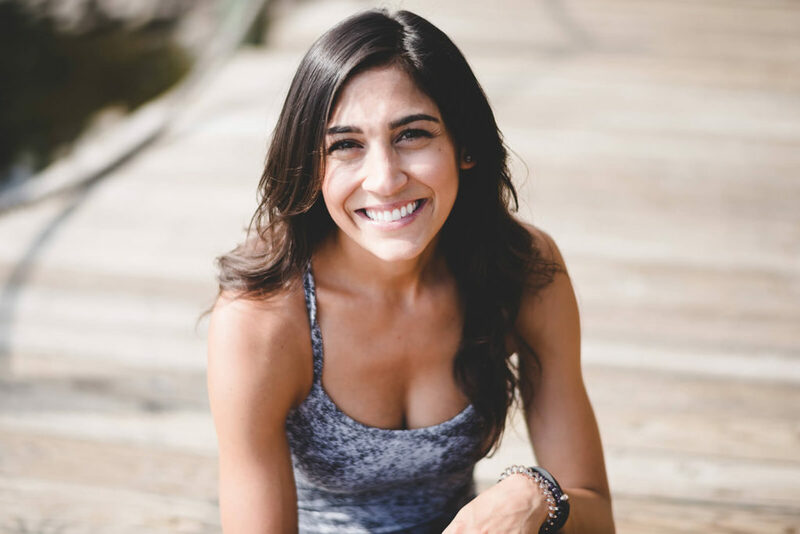 I am a Certified Holistic Health Coach, Health Fitness Specialist and 200- hour Certified Yoga Instructor, focused on women’s health and pre and post-natal wellness. I have over 10 years of experience in the health and fitness industry. Through my own experiences, not only working with clients, but my own battles with depression, anxiety and infertility have gained knowledge that allows me to work with men and women to empower and assist them in finding and living their healthiest and happiest life. I have a BS degree from Virginia Tech in Human Nutrition Foods and Exercise, as well as a Health Fitness Certification through American College of Sports Medicine. In 2016 I received my Holistic Health Coaching training from the Institute fo Integrative Nutrition, where I studied a variety of dietary theories and practical lifestyle coaching methods. With my knowledge, we co-create completely personalized actions based on your goals to move you toward your ideal vision of health within your unique body, lifestyle, preferences, and resources. I offer a holistic approach to health and wellness by addressing all facets of your well-being. In addition to eating – we will cover relationships, sleep, exercise, career and spirituality. I believe you already have the tools to live a happy and healthy life, I am just here to teach you how to tap into your own instincts and live confidently! I believe in nourishing our bodies from the inside out. Without focusing on dietary restrictions and calorie counting, we will work together to uncover underlying issues that may be preventing you from living the life you’ve always dreamed of! • Does that never ending to-do list prevent you from sleeping well? • Does stress at your job or everyday life cause you to overeat? • Do you have a sugar addiction that is preventing you from losing that extra weight? • Or are you just looking to live an overall healthier lifestyle? Together we will work to achieve your health goals and in the process you will gain a greater understanding of the food and lifestyle choices that are best suited for YOU! You will gain fundamental and practical knowledge of nutrition and how to live an overall balanced life. I am super excited to work with each and everyone of you and I am INSPIRED by those seeking their healthiest life!